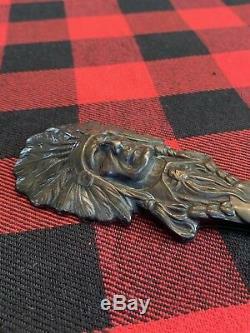 Offering a rare and awesome Art Nouveau sterling silver letter opener in the desirable Indian Chief pattern by William Kerr, Newark, New Jersey. 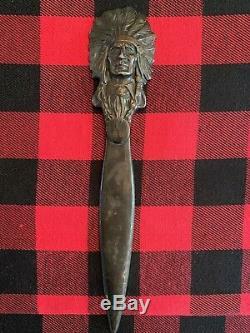 This amazing letter opener bears the face of a proud Indian Chief, whose wearing his long hair and feathered head dress. 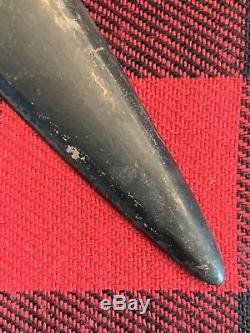 Measuring 10 3/8 Long, 2 1/8 Wide and Weighing 78 grams or 2.75 oz. There is no damage or wear. Only minor superficial scratches to the back. 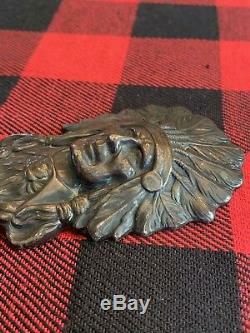 The original dark patina is wonderful but, does have a few insignificant rub. 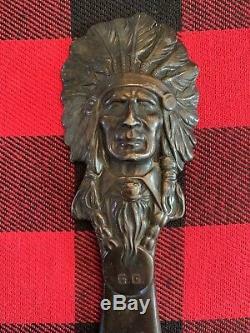 One to the chief's nose and one near the tip of the blade. 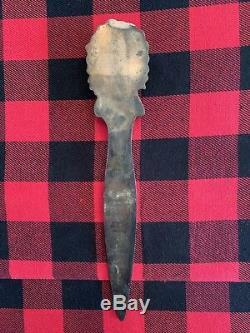 The letter opener lays flat, no bends. 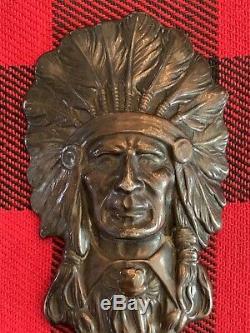 If desired this piece would take on a whole new appearance if polished. 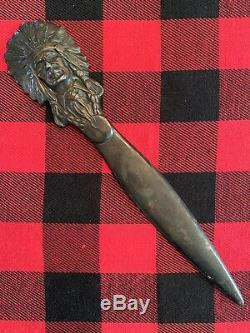 Consider this great Indian Chief letter opener for your collection. 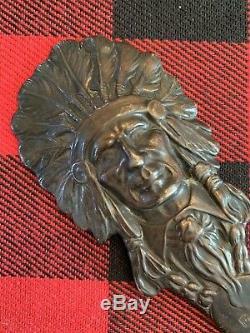 Please see my other sterling silver listings. 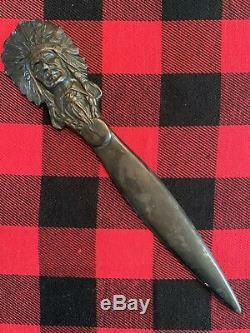 The item "Rare And Awesome Art Nouveau Sterling Silver Indian Chief Letter Opener Kerr" is in sale since Saturday, January 26, 2019. This item is in the category "Antiques\Silver\Sterling Silver (.925)\Other Antique Sterling Silver"." 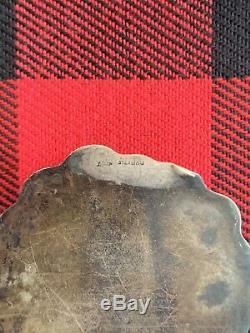 and is located in Oyster Bay, New York.